Text messages are an important aspect of communication and hence they need to be kept safely. This doesn't mean that they are not routinely lost. It is not uncommon to find yourself in a situation where you accidentally delete important text messages or lose them due to other reasons. This is why it is essential to have a recovery system that will ensure you can easily get your text messages back quickly and easily. This article will not only deal with how to retrieve deleted texts but also certain tools that can help you keep backup your messages to reduce the chances of losing them again in the near future. 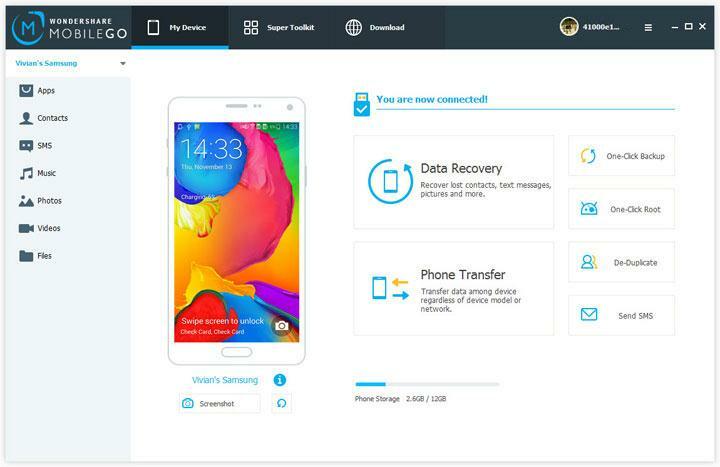 Here's how to use dr.fone - Recover (Android) to recover text messages from your Samsung device. Step 1: Install and run dr.fone to your computer. 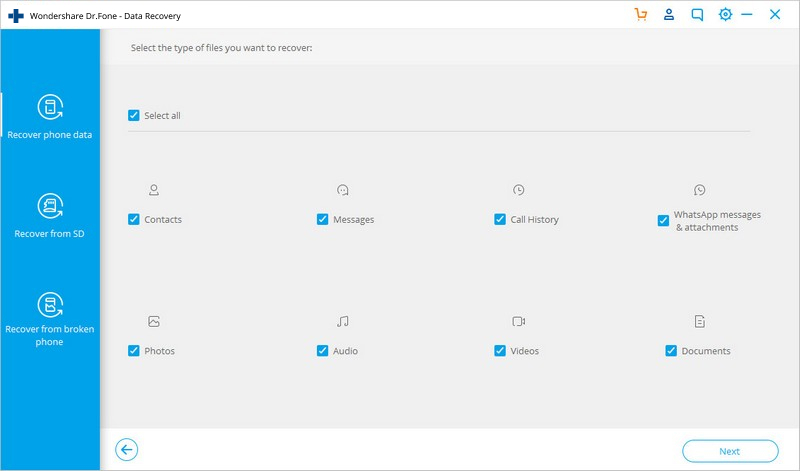 Then click on the option of “Recover” from dr.fone interface. 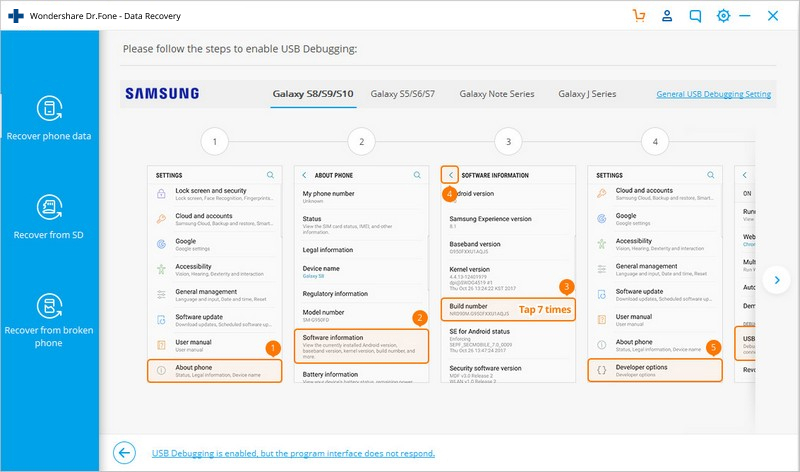 Connect your Samsung Galaxy device to the computer using USB cables. Step 2: you may be required to enable debugging before dr.fone can continue. Simply follow the steps displayed in the next window to accomplish a successful debugging process. N/B: You may need to disconnect your device during the debugging process. This is perfectly fine as long as you reconnect the device once the process is complete. Step 3: Select file type to scan.On this step you should choose "Messaging",then click "Next". 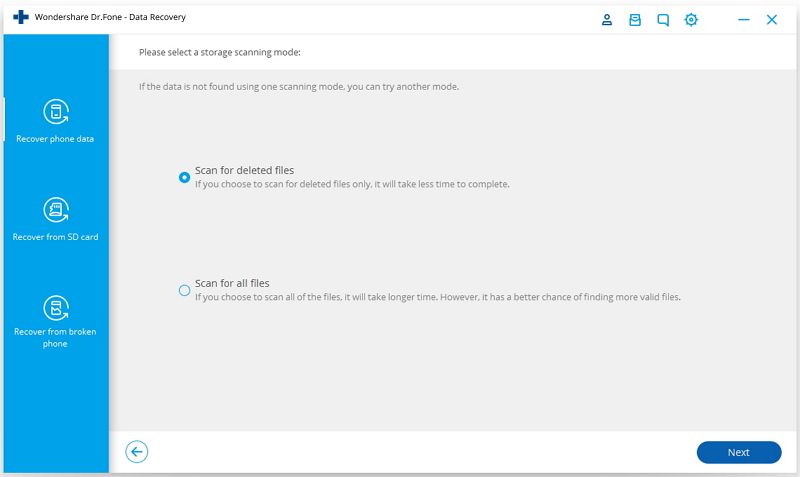 Step 4: Before scan your Samsung to find the deletde messages,you will see follow mode type to choose,on usually remind you choose the first one "Scan for deleted files",it will save many times.When you haven't found the messages you want,you cna choose "Advanced Mode" . Step 5: now clcik "Start",the dr.fone will start scan your device data. Samsung Kies is the official Samsung software for all Samsung devices. 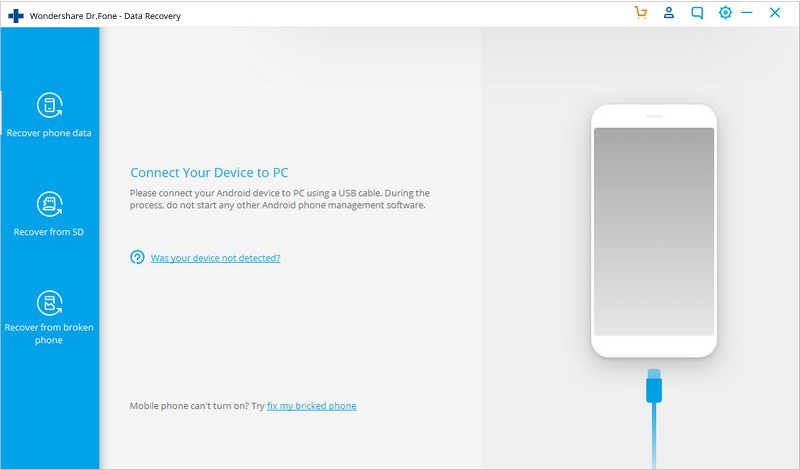 Apart from allowing you to easily backup all your text messages as well as other files, Kies will also notify you when a firmware update for your device is available. MoboRobo is an effective management tool for Android and iOs devices. 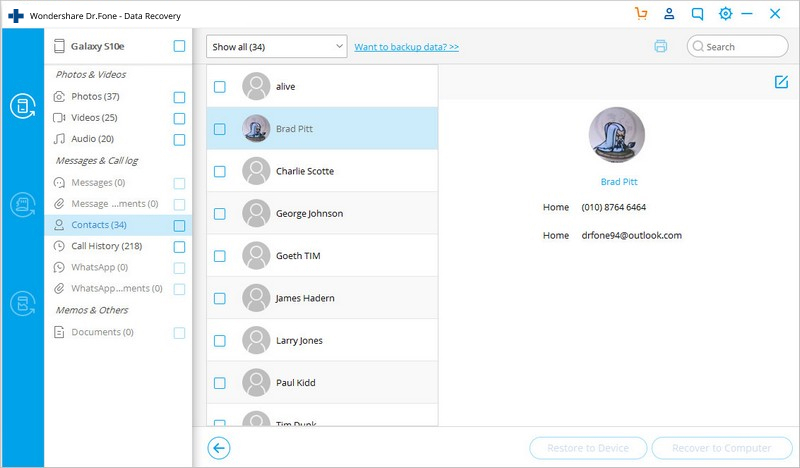 It also works across platforms allowing you to easily transfer contacts between iPhone and Android devices. It also works very well in aiding you to back up all data including contacts, text messages, and call logs, documents and media files. 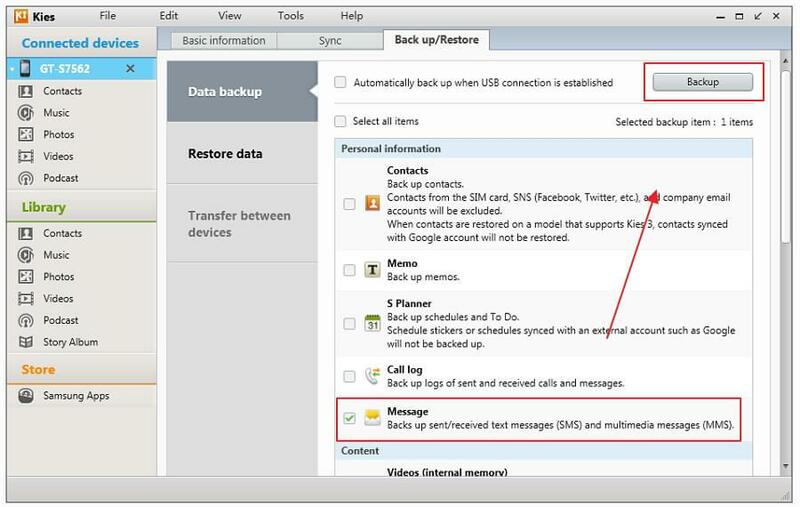 Wondershare MobileGo is a well-developed tool to help you backup data including text messages on your device. You can use a USB cable or Wi-Fi to connect your device to the program. It also comes with additional functionalities that allow you to answer calls, send text messages and even download apps from the Google store all on your desktop. Textra is one of the most popular messaging apps for Samsung Galaxy. It comes with a lot of features that should impress even the most hard-core of users. 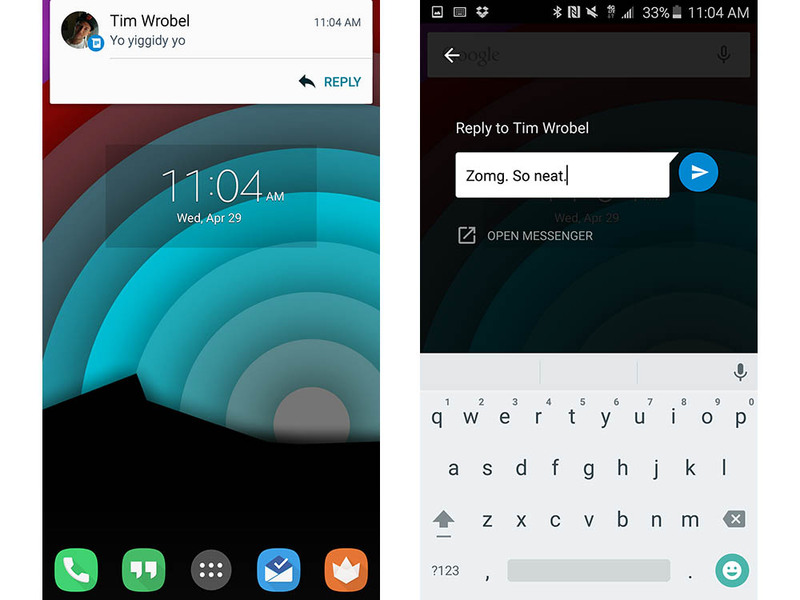 Its customization options include various theme colours, notifications, per contact settings. 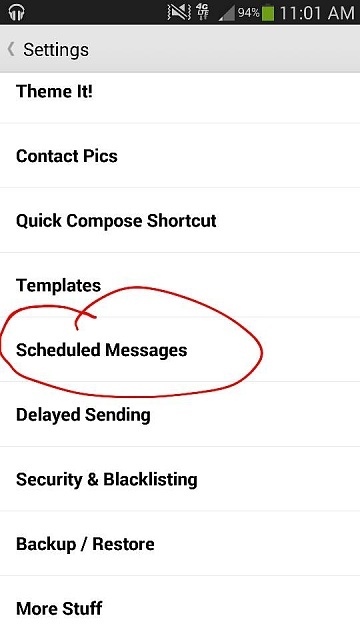 It also comes with built in SMS scheduling, group messaging, SMA blocker and quick reply feature. 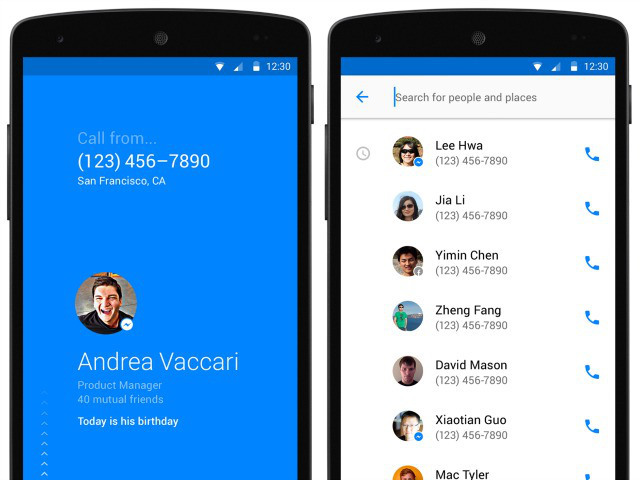 Google Messenger is the best tool if you want a reliable messaging app. It gets the job done without too much flare. 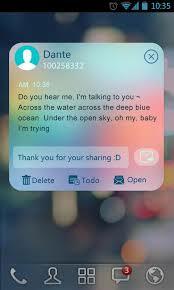 It is simplified and although it will allow you to customize messages in terms of contacts, group text and even audio messages, it doesn't have extra features such as themes. Hello is also a simple to use app that doesn't come with too many customizations. It is designed to send messages and just that. It does however come with a dark or light theme depending on what you prefer. With hundreds of customization options Go SMS is one of the most robust messaging apps in the business. 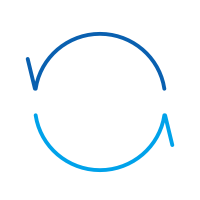 With it you get options such as message encryption, pop-up notifications, delayed send, SMS block and even cloud backup among many others. 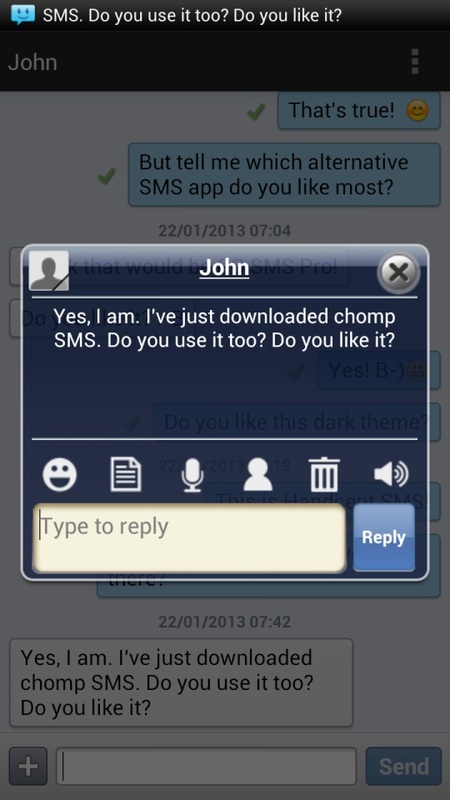 Chomp SMS comes with various features that include app lock, blacklisting and SMS scheduler while doing what a normal messaging app is meant to do and doing it well. It is compatible for users who are looking for a simple to use app that sends messages as well as for more hard-core users looking for themes and frills.